Artist Jim Flora (1914-98) created many famous jazz images, including numerous album covers for Columbia Records in the 1940s and 50s. Below are four terrific trombone images that his estate has graciously allowed me to add to the Trombone History Timeline (20th Century). 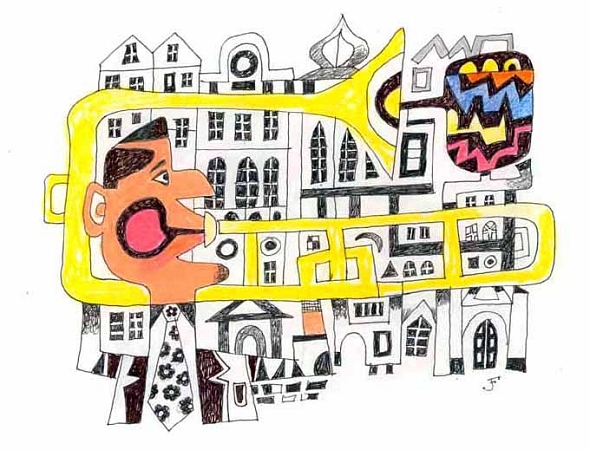 Each one features a notable trombonist in jazz history (in order, top to bottom: J.J. Johnson, Charlie Green, Kid Ory, and Miff Mole). 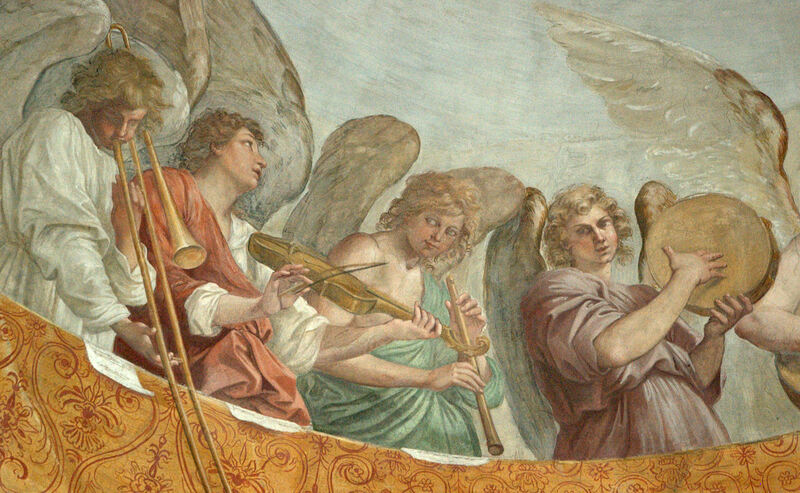 To purchase an image, or for more information about the artist, visit http://www.jimflora.com. All images are used by permission of www.JimFlora.com and are © The Heirs of James Flora. Jim Flora, Sweets and J.J. Johnson (1992). Used by permission of www.JimFlora.com, © The Heirs of James Flora. Jim Flora, Trombone Cholly. Used by permission of www.JimFlora.com, © The Heirs of James Flora. 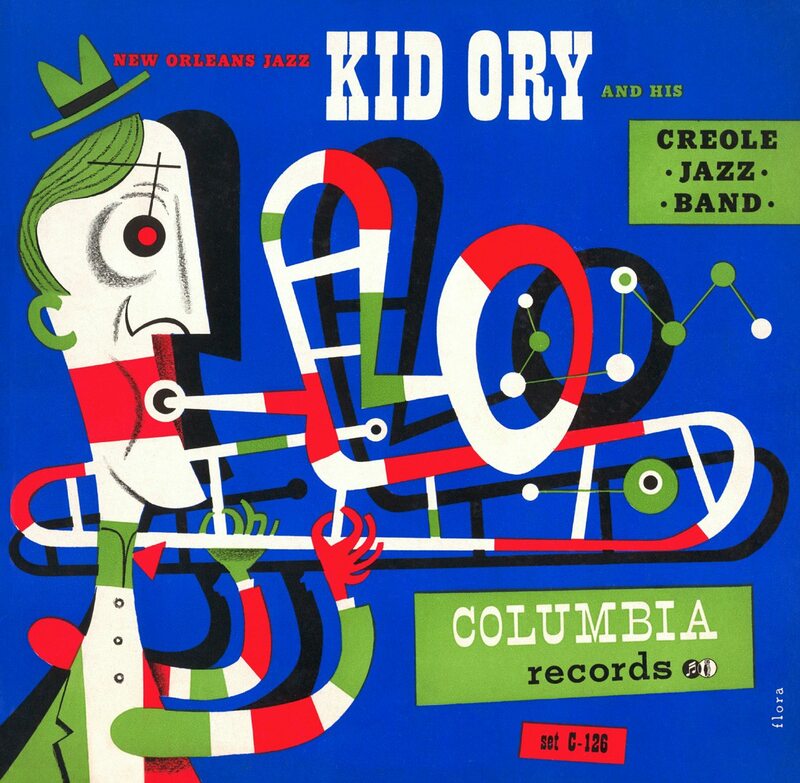 Jim Flora, Kid Ory album cover (1947). Used by permission of www.JimFlora.com, © The Heirs of James Flora. 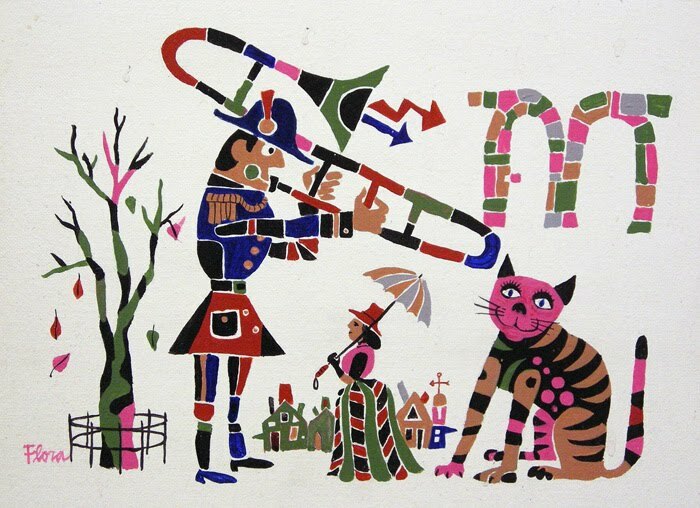 Jim Flora, Miff Mole's Cat (1992). Used by permission of www.JimFlora.com, © The Heirs of James Flora.